Why Does the World Need Black and White Tomatoes? A [Suttons] spokesman said: "This year we have upped the ante by grafting Indigo Rose to a creamy-white cherry variety to produce the first black and white tomato plant. We promise amazement from your friends, neighbors, and family, not to mention rather groovy salads and sandwiches." This is either an idea whose time has come, or a throwback to the era of terrifying "Funky Purple" ketchup. 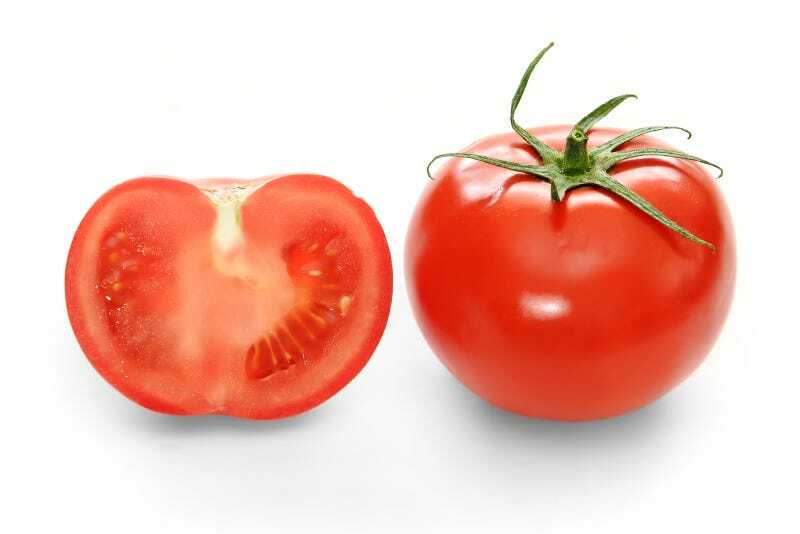 Image of tomatoes as they should be via Wikimedia Commons user Fir002.